Hessen Germany (English name is Hesse) offers a huge scenic diversity. Discover medieval towns, health spas, rolling hills, and experience a wide range of leisure activities. Hessen is well-known because of Europe's financial metropolis Frankfurt, and Germany's largest airport Rhein-Main. However, let me tell you that Hesse has much more to offer, for business travellers and holidaymakers as well. Even if you only have time to stay in Frankfurt, there are plenty of exciting tours to take to discover the state I call home. What do you want to know about Hessen Germany? Please use the quick links to jump to an area of interest. History - Although settlement in Hessen goes back to the ancient tribe of the Chatti, the boundaries of modern Hesse only exist since 1945. The landscapes in Hessen are dominated by low mountain ranges. Rhön, Taunus, Vogelsberg, and Odenwald are in the central and southern parts, while Kaufunger Wald, Kellerwald, Knüll and Hoher Meissner are in the north. Each of these ranges has its own character. The common feature is that they are all dotted with lovely towns and villages. Mount Wasserkuppe in the Rhön hills is a gliding centre, the world's first gliding school opened here in 1924. The Vogelsberg is known as one of the largest extinct volcanic fields on earth. The Wetterau north of Frankfurt, and the hessisches Ried are the only lowlands in Hessen. Major rivers like the Main, Lahn, Fulda, Eder and Kinzig have carved lovely valleys into the mountain ranges. The Rhine doesn't flow through Hessen (apart from the "Old Rhine" arm in the Kühkopf Nature Reserve near Riedstadt). 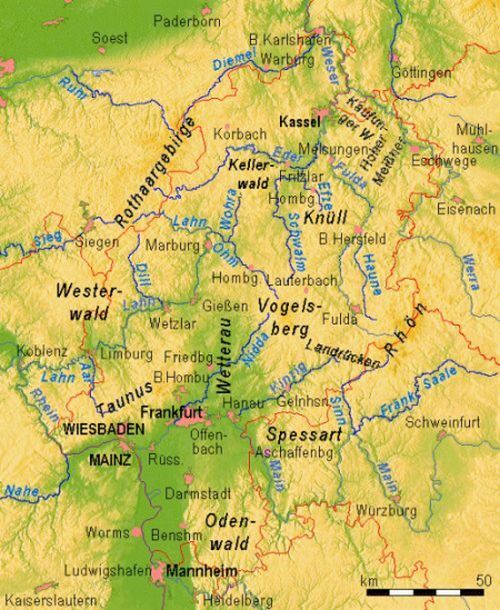 However, the river builds a part of Hessen's western border with Rhineland-Palatinate between Lampertheim in the south, and Lorchhausen west of Wiesbaden. North Hesse is fairy-tale country. The Brothers Grimm lived many years in Kassel, and collected the tales of the region. Sababurg is known as the castle of Sleeping Beauty as it was surrounded by a 5km long and 3m high thorn hedge in the 16th century. The Hoher Meissner is said to be the home of Frau Holle. 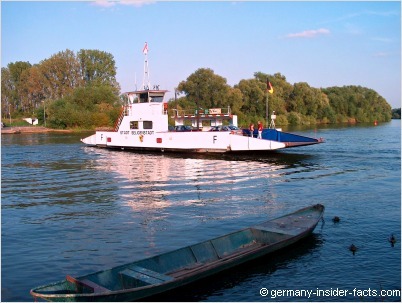 Leisure activities in Hessen include hiking, bicycling, fishing, watersports in summer. Skiing, especially cross-country skiing, and sledging are possible in many regions, when we have snow. Bicycle fans will be happy about long distance bicycle trails along the rivers. They are easy to ride and offer beautiful scenery. Motorcyclists however, enjoy the rolling hills for a pleasure ride on the weekends. Scenic routes in Hessen guide you to historic places, picturesque half-timbered towns and places of historic relevance. Take the fairy tale road or the idyllic road and enjoy the most unique places in Hessen. The Bergstrasse goes straight southwards from Darmstadt to Heidelberg and Wiesloch in Baden-Württemberg. It is a lovely drive along the foothills of the Odenwald. 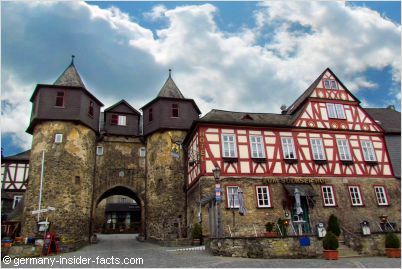 The road passes through lovely towns with half-timbered houses, the hills are dotted with castles and ruins. The mild climate gives the Bergstrasse region almost an Italian flair, with almond, fig and olive trees growing here. Grube Messel (Messel Pit) near Darmstadt is a former quarry with unusual well-preserved fossils telling us about the early stages of mammal evolution. Fossil Ida, said to be the missing link in human evolution, was discovered at the Messel pit in 1983. Upper Middle Rhine valley from Bingen to Koblenz is on the UNESCO list on behalf of the whole river Rhine. The narrow Rhine valley is extremely scenic and a famous tourist attraction. The Hercules Monument and Waterfeatures in the Bergpark Wilhelmshöhe in Kassel is the newest heritage site, acknowledged for its unique cultural landscape. It was added in summer 2013. More than 30 spa towns make Hessen Germany's top spa destination. Wiesbaden and Bad Homburg are well-known, but smaller health resorts attract visitors from near and far as well. Explore the cities and towns that are really worth a visit. Kassel - population 195,000 - The main city in Hesse's north is known as the capital of the German Fairy Tale Road (deutsche Märchenstrasse). The Brothers Grimm lived many years in Kassel collecting fairy tales from the area. Bad Wilhelmshöhe, the Documenta and glorious buildings from its past as a residence for princes are the main attractions. This is another beautiful medieval city on the Lahn river with attractive small lanes and half-timbered houses. The impressive cathedral, St. Georg's Dom, overlooks the old town and can be seen from far away. The city on the Lahn river has the oldest protestant university in the world. The hilly upper town has a well-preserved Altstadt (old town), topped by a castle. 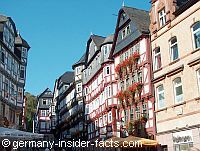 It is an old city, however, the students keep Marburg young and alive. The hot springs in Wiesbaden have a long history. They were already used by Romans in the first century. The Staatstheater (state theatre), Kurhaus, the Landtag and many other impressive mansions build the flair of our capital city. This is the largest city in Hessen. Economically, it is one of the most important cities in Germany. Known as Bankfurt and Mainhattan, it has the most impressive skyline of all German cities. However, Frankfurt has many more attractions, and a lot of charme. You'll be surprised. is on the edge of the Taunus mountains. It was the favourite spa town of German emperors, Wilhelm II. even made Bad Homburg his summer residence. It was the centre of German aristocracy in the imperial past. Today it is the place of the "financial" aristocracy. With its brine bath, Bad Nauheim is one of the leading health resorts, famous for treatment and rehabilitation of heart diseases. The art nouveau Sprudelhof is fantastic. Bad Nauheim is internationally known as the city where Elvis Presley lived during his time with the US-Army in nearby Friedberg. My home town, the city where the Grimm Brothers were born, is not far away from Frankfurt. Hanau has many attractions, Schloss Philippsruhe, the historic spa Wilhelmsbad and some unique picturesque corners. 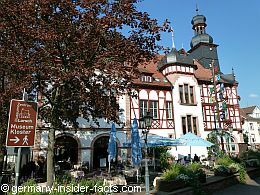 Explore the highlights of the Rhine-Main area, Spessart and Vogelsberg from Hanau. 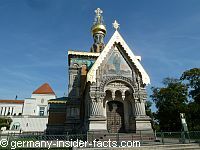 The city was founded by Staufer emperor Friedrich I. Barbarossa. Barbarossa had a castle built on an island in the Kinzig river. 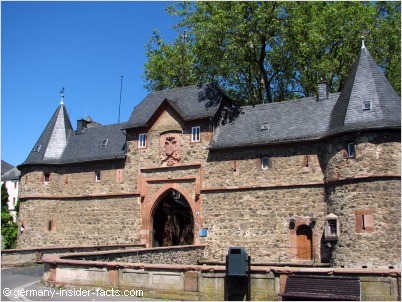 The Kaiserpfalz is one of the best preserved palaces of the Staufer Dynasty with beatiful masonry. 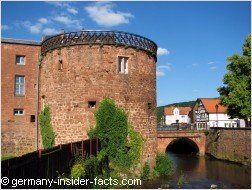 After WW II Gelnhausen was a garrison of the US Army until 2007. Darmstadt is known as the city of science and the centre of Jugenstil (art nouveau). Especially the artist colony Mathildenhöhe with the wedding tower is worth a visit. Two lakes, several pools and a beautiful Jugendstilbad invite to relax after a day of sightseeing. 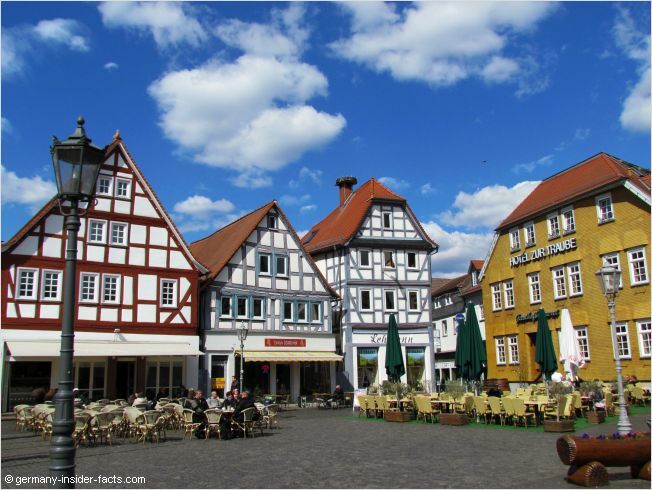 Located in the Odenwald mountain range, the medieval Altstadt (old town) of Michelstadt is a beautiful example of half-timbered ensembles. The gothic town hall with its three towers was built in 1484, and hasn't changed much in more than 500 centuries. Frankfurt is the main transportation hub in Hessen. If you visit from outside Europe you'll probably arrive at Frankfurt Rhine-Main airport. The train station in Frankfurt is one of the busiest in Germany, as is the Frankfurter Kreuz for the Autobahn. It is easy to get around by train. 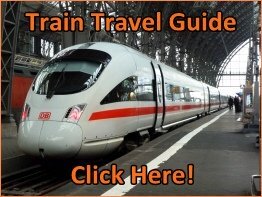 ICE trains stop in Frankfurt, Hanau, Fulda, Kassel and Limburg. Regional trains connect the rural areas with the cities. If a village doesn't have a train station, there is certainly a bus connection to the next train station. When you are short of time and don't want to organise things yourself, you can visit the rhine valley, Heidelberg, Rothenburg ob der Tauber and other places on a day trip. There is even a fantastic 7-days excursion to all the famaous destinations in southern Germany available. A5 - coming from Basel (Switzerland), the A5 passes Freiburg, Karlsruhe, Heidelberg, Darmstadt, Frankfurt, Bad Homburg, Giessen, and joins with the A7 near Bad Hersfeld in North Hessen. If you want to explore the countryside, you need to get off the Autobahn and drive on Bundesstrassen (state highways) and Landesstrassen (country roads). Get a map, start planning, enjoy. Hessen is really worth to go off the beaten track. Frankfurt Airport is the place where many / most international travellers arrive to start their journey in Germany. Whether you plan to stay in Hessen, or visit other states and destinations in our beautiful country, a good travel guide and maps are essential to get around. For a quick overview, the map below shows the main cities, mountain ranges and rivers in Hessen. The Michelin map Germany's Midwest covers Hessen, North-Rhine Westphalia and Rhineland-Palatinate. Included is a distance chart, city maps for Frankfurt, Cologne & other cities, as well as other useful information. The Backroads of Germany is one of my favourite driving guides. Discover 24 leisurely drives to the most scenic destinations in Germany. Even if you don't want to drive yourself, the book is a great guide to find places off the beaten track and to plan your vacations. The book and the Michelin map can be ordered online from Amazon.com. Every single town and city has many festivities to celebrate throughout a year. Local clubs and associations hold annual parades, festivals and fairs. You are going to experience all kinds of local flair and festivities when you travel around in Hessen. Listed below are a few of the internationally known events in Hessen, and a few that fall into the insider tips category. Frankfurt Book Fair is the largest trade show for books in Germany with participants from more than 100 countries. Every year another country is chosen as "guest of honour". The book fair is only on the last two days open to the general public. Please be aware that you need to book hotels in Frankfurt well ahead during major trade fairs. The Documenta in Kassel is one of the most important exhibitions of modern and contemporary art. The Documenta is also known as the "museum of 100 days" because it is only an exhibition for 100 days every 5 years. The last Documenta in Kassel began on 9th June 2012, it closed on 9th September 2012. The Documenta 14 will be held from 10. June until 17. September 2017. IAA - Internationale Automobil Ausstellung - Frankfurt Motor Show takes place in odd-numbered years in Frankfurt. The show used to be held annually in Frankfurt until 1991. Since 1992 the show has been divided into a show of commercial vehicles, held in Hanover in even-numbered years, and a show of passenger vehicles held in Frankfurt. Hessentag (translated Hesse Day) is an annual festival held in a different town each year. Focus of Hessentag, which usually is celebrated about ten days, is to represent customs and culture of a certain region. As Hessentag is always in summer or late spring, there are many open air events: concerts, plays, parades, sporting events and many more. Hessentag 2016 will be held from 20. until 29. May 2016 in Herborn, while it is Rüsselheim's turn in 2017. Grüne Soße Festival in Frankfurt in May cherishes Frankfurt's famous dish. Wäldchestag in Frankfurt is on the Tuesday after Whitsun. The famous Christmas market in Frankfurt is of course in December. Not to mention all the wine & beer festivals and Christmas markets around Hessen. There is always something going on in our cities and towns. In October/November Frankenstein castle becomes haunted for about two weeks. Don't miss the exciting Halloween events at the castle. For more information about what is going on during your time of visit, contact the tourist information office at your destination. Disclosure: Some links on this page are affiliate links. This means when you buy a product, book a hotel, train ticket or tour through one of these links, I earn a small commission (there is no extra cost for you). This money helps me to maintain this website and provide the free information for you. Thank you in advance for your support. From the well-known international hotel chains to the private bed & breakfast, you'll find a wide range of hotels and accommodation in Hessen. Use the search box below, type in any city or town name, and find the best accommodation deals at HotelsCombined.